Let’s take a look at our projected 4th-place finishers, the Florida State Seminoles. 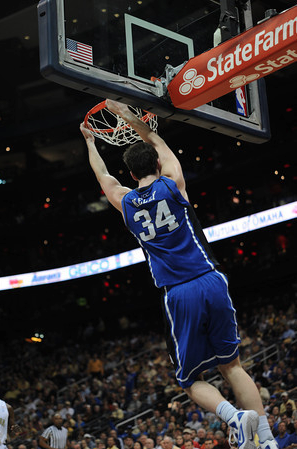 The Good: This is a big and physical team, and they will punish you on the glass and wreak havoc on opposing offenses. The Seminoles are tops in the ACC in defensive field goal percentage, as opponents are shooting just 35.4% from the floor against them. Florida State also allows only 26.7% shooting from beyond the arc. They also lead the ACC in both blocked shots and steals. Senior Bernard James ranks third in the conference averaging 2.5 blocks per game. On the glass, the Seminoles pull down 40.2 rebounds per game, good for 12th in the nation. The Bad: Florida State struggles to hit from deep, shooting just 31.6% from beyond the arc this season. In fact, they don’t have a single player shooting more than 35.6% on their roster. This shooting weakness allows opposing defenses to shift its attention to Florida State’s major strength, its big front line. Florida State’s strength of non-conference schedule is also a bit unsettling. 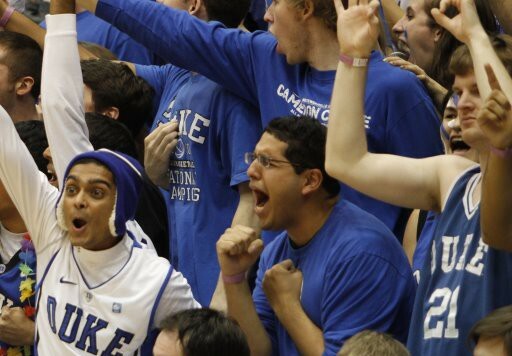 Although it has played several ranked teams in close contests, it is yet to defeat a quality opponent. The Crazie: This is also easily the most experienced team in the ACC, as Florida State has six seniors and five juniors on its roster. In closely-contested conference games, experience can be a deciding factor. Florida State has done a very nice job replacing the production of the two key contributors it lost from last year’s team. Though Chris Singleton decided to leave school a year early to be selected by the Washington Wizards in the 1st round of the NBA draft and Derwin Kitchen graduated, their front line has rotated new starters in seamlessly to pick up their lost production. The Seminoles not only have the experience of enduring the difficulties of an ACC schedule but also the intensity of NCAA Tournament basketball. The 11 players that Florida State returned from last year’s team remember what it took for a successful postseason run, as the Seminoles went to the Sweet 16 before falling to eventual Final Four team VCU. Player We Love To Hate: Bernard James. James is one of the top rebounders in the ACC, pulling down 8.9 boards per game, and has a post game that continues to improve. 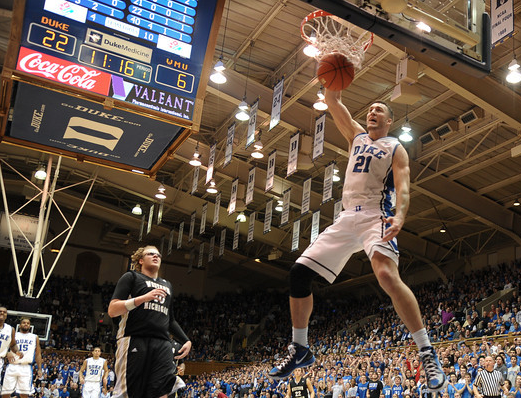 James is extremely difficult to match up with and could pose issues for the Blue Devils, who have struggled with interior defense at times throughout the season. He is the type of player that can wear down a defense in the paint and makes opponents work hard on both ends of the floor. 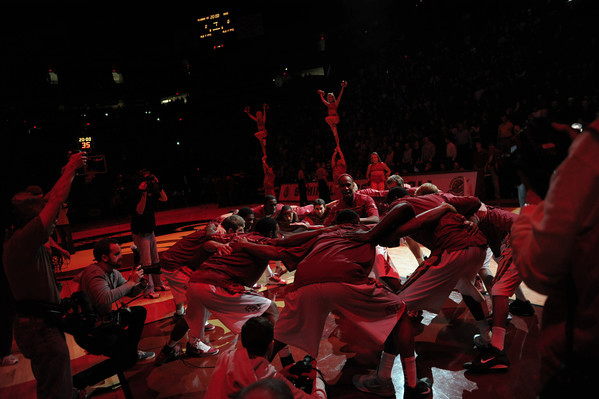 The Bottom Line: This is a team that can compete with anyone in the ACC. They won’t finish in the top couple of spots, but they will give the elite ACC teams tough games, especially when they play in Tallahassee. Despite no real non-conference resume to speak of, this team shouldn’t have much trouble making the NCAA Tournament come March. This is by no means the most talented team Duke will see this year, but the way it rebounds and defends, Florida State can pose a difficult matchup for any team. If they can continue to could shut teams down come tournament time and their offense gets hot the Seminoles could win a game or two. Let’s take a look at our projected 5th-place finishers, the Virginia Tech Hokies. The Good: This is one of the best defensive teams in the ACC, allowing just 59.3 points per game. They pose matchup problems with their size, especially in the backcourt. The Hokies’ entire starting lineup is between 6-foot-4 and 6-foot-8. Their length helps them to defend against teams that shoot from deep- opponents are shooting a staggering 22.8% from beyond the arc against Virginia Tech this season. This team has also endured a few tests in its non-conference schedule, playing competitively against top-ranked Syracuse while suffering close losses to power-conference teams Minnesota and Kansas State. They’ve handled the rest of their lesser competition quite easily, winning each game by an average of 12.2 points per game this year. The Bad: Although their starters have size in the backcourt, this is not a very big team and could get hurt inside. The presence of a player who isn’t even on the Hokies roster could hurt them the most. 6-foot-9 power forward Allan Chaney had transfered from Florida and was slated to start this season for Virginia Tech, but was not cleared to play by team doctors due to a heart condition. Virginia Tech only has one player in its normal rotation larger than 6-foot-8 in 6-foot-9 sophomore Cadarian Raines, and Raines only averages 15.2 minutes per game. This could pose a problem against some of the larger teams in the ACC, who will look to dominate them inside, especially because the Hokies play tight perimeter defense. The Crazie: This is a team built to play with a lead, not only thanks to their ability to play tight defense and lock down the perimeter, but due to their ability to convert from the line. Virginia Tech is shooting an ACC-best 74.0% from the line this season, so it will be difficult to claw your way back into a game late if your team is forced to foul. Their starting five is shooting 76.4% from the charity stripe on the year, or two Mason Plumlees, depending on which way you think of it. Player We Love To Hate: Look out for Jarell Eddie this year, this guy is a walking matchup problem. He has the length at 6-foot-7 to play inside and crash the boards, averaging 5.0 rebounds for game, good for second on the team. But that will be the least of your worries- hope you keep this guy inside because he will shoot the lights out. When he steps outside, Eddie is shooting a 52.6% clip from beyond the arc on the year. He is also shooting a lights-out 90% from the line, so he is definitely not the person to foul with the game on the line. His athleticism alone makes this guy one dangerous player. The Bottom Line: Virginia Tech will be fighting for a spot in the NCAA Tournament this year, so conference play is a crucial stage. Although this is a team with only a few experienced players, my guess is that they will be one of the last few teams to get a bid this year. 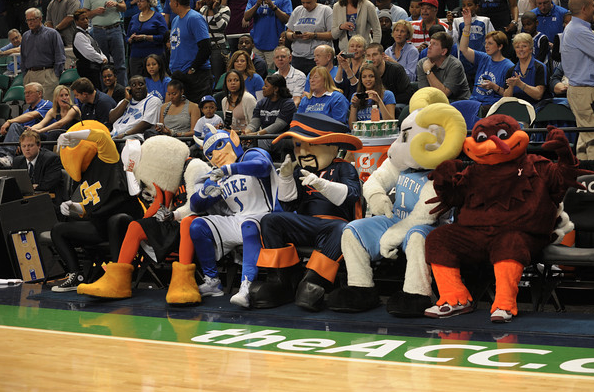 People are talking about it being a down year in the ACC, but I don’t think five teams is too many. They will play the ACC tough this year, and playing North Carolina only once while playing Boston College and Clemson twice can’t hurt either. 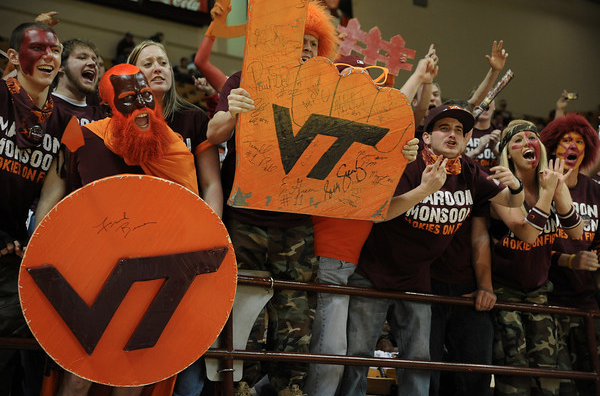 Plus, playing in Blacksburg in front of Hokie Nation is one of the ACC’s toughest road tests.